Everyone wants to earn extra money, but is it possible to earn $1,000 per month on the side? After interviewing several people who did it, it’s safe to say that many people can. With the right combination of skill, marketing, and elbow grease, you can land a $1,000-per-month side gig. In this article, we outline 11 side hustles that allow real people to earn at least $1,000 per month. 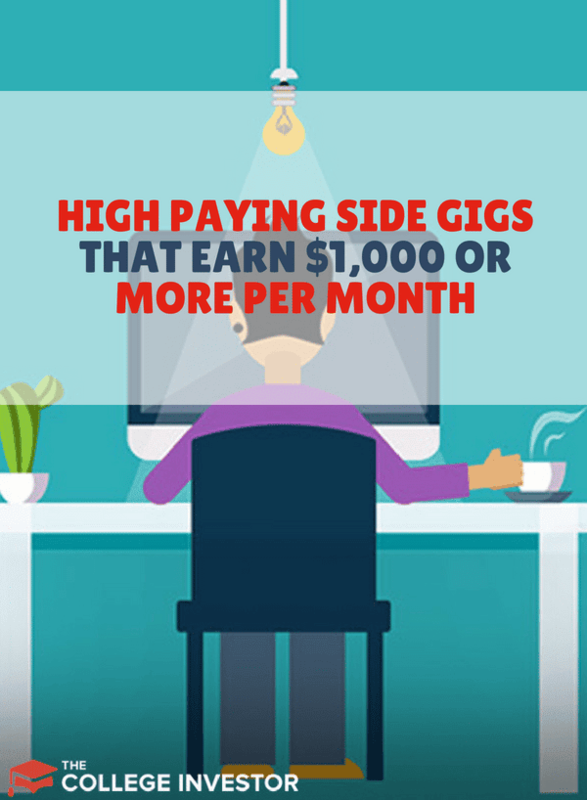 Based on interviews with real people with side gigs, we also suggest side gigs where you can earn at least $25 per hour, which makes $1,000 per month achievable in many cases. 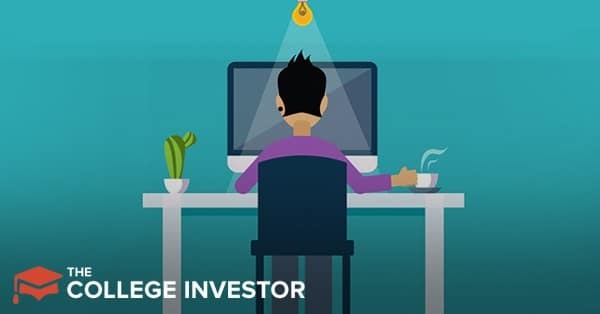 If you're looking for more ideas, check out our 80 Ways To Make Money At Home. How Will You Earn $1,000 Per Month on the Side? The key to earning a profit? Buy low and sell high. But is that maxim easy to put into practice? And can you earn a $1,000 per month just by buying high and selling low? Even people with no particular expertise can scour big-box stores for items on clearance that they can sell for a profit on Amazon. This guide actually gives great detailed instructions on how you can do this. The amount of money you actually earn from retail flipping will depend a lot on how good you are at finding deals, the amount of money you have to put into your inventory, and your ability to sell items quickly. People with expert knowledge in specific areas may actually have a leg up when working to flip items for a profit. Many mechanics will buy broken-down cars, and then sell the parts for a profit and the rest of the car for scrap pricing. Another surprisingly lucrative field for experts is sneaker flipping. Omar of Raleigh, North Carolina is an avid sneaker collector, and rarely lets a pair go. However, he has made up to $200 per pair of sneakers that he resells, and suspects he could earn up to $1,000 per month if he didn’t love his collection so much. The easiest way to flip for a profit? Get your materials for free. Robert A. of Raleigh, North Carolina does landscaping work as a primary job. If he sees a pile of metal or appliances out on the curb, he’ll load up his truck and takes the metal to the recycling center to get scrap value for it. A full truck bed usually brings $75 to $100 (or more if he has a lot of copper in the load). In a good month, he can earn up to $1,000 per month just from scrapping, though his usual take is lower. Whether you’re flipping garbage, used clothing, sneakers, cars, or houses, buying low and selling high is a great way to earn money on the side. To flip for a profit, you will need to know prices well, and you need to be able to take advantage of deals as they come to you. Generally, you’ll also need a vehicle to make flipping profitable. However, with enough expertise, becoming a flipper can yield $1,000 per month on the side. Do you have a credit card with a perfect credit history, and less than a 15% utilization ratio? Then you could sell authorized user positions on your credit card to people looking to establish or improve their credit history. This is called selling tradelines, and it’s one of the most lucrative side hustles available for cash-strapped people. So how do you go about selling tradelines? Well, you could go around door-knocking and trying to find people willing to buy, but you might have better luck signing up as a credit partner with an established tradeline sales company like Tradeline Supply. Right now, you can earn $50 to $300 in commission for every authorized user position that you sell through Tradeline Supply. Each credit card may allow you to add between 5 and 20 users. Authorized users stay on your account for two months, but your entire credit card history goes on their account. Authorized users never get access to your account. You’ll know the name of the person buying the tradeline, but they won’t know your name. Tradeline Supply does screening to make sure that the person buying your tradeline is legitimate. Authorized users never know the account number for the tradeline you’re selling. Even when the tradeline shows up on their credit report, the account number is a digital code produced by your bank. Selling tradelines is completely legal. Congress, the CFPB, banks, and credit bureaus all know about the practice. They don’t like it, but it is squarely legal. Interested in selling your credit history? Sign up with Tradeline Supply to get started or read our Tradeline Supply review. Whether you read articles about finance, weightlifting, cooking, or art history, someone had to write the article. Some online writers write as a hobby, and don’t earn much (or anything) from their writing. However, plenty of sites hire freelance writers to produce compelling written content for their audiences. As a freelance writer, you might also write newsletters, magazine or newspaper articles, technical manuals (for software or machinery), white papers, or even “website copy” which is just the words on a company’s website. A common method for building up a portfolio is to start a blog, and then reach out to other (slightly larger) bloggers to request a guest post on their site. Another method that people commonly use is creating a free portfolio on a site like Contently. When you find someone who is interested in your writing, you’ll need to talk rates. Rates for articles vary widely by niche, and by the budget of the company hiring you. A blog site will generally pay anywhere from $30 to $200 per article (depending on the niche and your experience). Other sites, including media sites or large company sites can often afford to pay hundreds or even thousands of dollars per article. Finding clients (especially higher-paying clients) is the key to earning $1,000 or more each month. We break down 14 ways that you can get paid to write here. If you own a great camera, and you’ve developed your photography skills, you may be able to earn $1,000 or more each month while working on the side. Dana Haynes of Raleigh, North Carolina started her first foray into paid photography by shooting friends’ weddings in college. Though she only earned $500 per wedding at first, she recommends wedding photography as a great niche for budding photographers, especially those with young and broke friends. “Weddings are the one time your peers are willing to spend a significant amount of money for photography,” Haynes told The College Investor. She also added that most young people probably have a built-in network of friends getting married. Years after shooting weddings, Haynes revived her photography practice after watching hours of free online courses, and photographing friends and family for free. People would share her pictures on Facebook, and she slowly got her name out. These days, Haynes works primarily in birth photography, but as a hustler, she also photographs families, bands, marketing, headshots, and weddings on the side. Although Haynes and many other photographers will get their start by shooting for friends or family, Haynes recommends keeping your business as professional and well-managed as possible. “You're photographing these incredibly meaningful moments in folks' lives. You want to make sure you're making contracts, managing dates/times, and keeping up with communication. You can’t compromise on the business end if you want to serve people well,” Haynes said. Making it in the music industry is a notoriously difficult career choice, but Beau Humphreys and his band Saturday Night Superstars have turned their musical passion into a lucrative side gig. Since playing music on the side means giving up weekends, the band opted to become a wedding band which allows them to command higher paydays. Every member of Saturday Night Superstars has over a decade of performing experience under their belt, so comparing their income to your early-stage income might not be completely fair. That said, the band members can easily clear $1,000 each when they perform at least two gigs in one night. As a keyboard player, Beau actually has the opportunity to book side gigs with his side gig. He’ll often play keyboard during the wedding ceremony, cocktails, a dinner, and of course perform with the band that night. When clients book the whole range, Humphreys may be able to earn $1,000 or more in a single night. As with many of the other side jobs in this article, booking the first paying gig can be the most challenging for musicians looking to earn extra coin. The Saturday Night Superstars band’s first paying gig was a Christmas party at a golf course. The owner of the golf course heard the band’s showcase a few weeks earlier, and took a chance on booking them. Humphreys recommends that musicians should always promote their services to their existing networks. A great website with quality audio and video goes a long way in making you easy to book, but word-of-mouth marketing is the most important way to market your services as a band. If you have more love than your pet can handle, being a dog-walker or a pet-sitter can actually bring in decent money. Kristin Larsen, founder of Believe in a Budget, side hustles as a pet-sitter in her local area. She simply signed up with a local pet-sitting company and found plenty of work. Generally, she makes $20 for a 20-minute walk (she walks dogs during her lunch breaks), and up to $60 per night when she takes care of animals overnight. Depending on the locations of your clients, pet-sitting may allow you to serve several clients every hour. However, that’s not guaranteed to be the case. To maximize your earnings, you need to be careful to work for a company that won’t send you all over the globe to serve clients. A flexible schedule is ideal for this side hustle (plenty of people want dog-walkers while they are away at work), but it can work with a variety of schedules as long you can meet your clients’ needs. If you can’t find high-paying employment with a local pet-sitting company, you could try finding clients through Rover.com. You could also start your own business. Crystal Stemberger, founder of Crystal’s Cozy Care Pet Sitting, started with a few simple posts on her HOA’s website and a few free ads on Craigslist. Over time, her business grew to become one of her primary sources of income. Check out Rover, a new app that allows you to become a dog sitter online. Get started with Rover here. Dan Batcha, an independent insurance agent based out of Blaine, Minnesota, has put his side hustle times towards making the lives of military veterans a little better. Back in 2015, Batcha and his then-girlfriend decided to give gifts to people in need rather than exchanging gifts with each other. With a little boost from social media, they managed to collect and give nearly $7,000 worth of gifts to five military families. Since then, they’ve managed to serve as many as 10 families with $11,000 worth of gifts in a single season, through an organization called Civilian Santas. Throughout the year, Batcha spends around five hours per month speaking to local churches and schools and organizing the back end of the non-profit. Closer to Christmas he’ll spend up to 15 hours per week coordinating wishlists, meeting families in need, collecting gifts and donations from others, and of course delivering gifts to the families. Growing Civilian Santas hasn’t been easy, but Batcha has big dreams for the organization. In the next year, he’d like to serve a Thanksgiving meal for veterans and their families, and host a Christmas in July 5K run to raise awareness and funds for the cause. Lillian Karabaic, a financial educator (who often dresses as David Bowie), and founder of Oh My Dollar! is no stranger to high-paying side hustles. One of the higher-paying options is event marketing or becoming a “promo girl.” This side job involves setting up events, talking to people, and handing out samples. If you’ve ever seen a Bud Light girl or girls driving around the Red Bull vehicle and handing out drinks, you’ve seen a promo girl. Karabaic says that vendors from yoga studios to alcohol brands hire people to promote their products. It can be a lot of fun, and very lucrative for an outgoing person, but the hours tend to be late nights (for alcohol) or weekends for other vendors. If you know someone who is already an event promoter, you might want to ask them to put you in touch with their primary contact. Otherwise, you can find your first few events through Craigslist gigs, Facebook (search your city and brand ambassador) or event staffing agencies (search for event staffing in your city). Once you have an established relationship with certain brands or with certain staffing agencies, you’re likely to get called on again. When someone says they are a digital marketer, it could mean that they post ads on their personal Facebook page. It could also mean that they are a skilled web designer who optimizes web pages. However, most people who make money on the side as digital marketers help small business owners enhance their digital presence. A close cousin to digital marketing is providing virtual assistant services. Virtual assistants provide digital support (including web support, digital marketing services, and more) to bloggers and other business owners. A virtual assistant can be a jack-of-all-trades or extremely specialized. Their job is to make the lives of other business owners easier and better. Many virtual assistants work with just a few clients, so their time commitment is relatively small. One virtual assistant that I interviewed responds to customer inquiries and complaints for a small retailer that lists products on Amazon. In general, she works no more than four hours per week. Many other VAs eventually find that being a VA is more lucrative than their day job, and quit to take their VA activities full-time. ​Become a Pinterest VA TODAY! When seeking sources for this article, we found several people who earned high hourly wages from their side gigs, but didn’t earn $1,000 per month. Most of these people reported that they didn’t want to take on more clients, but they felt that they could if they put in the effort. Based on these reports, we determined it’s reasonable for someone to earn $1,000 per month on the side if a person were willing to put in the time to build up and maintain their client base. As a general rule, the most lucrative side gigs require self-employment, self-marketing, and maybe even entrepreneurship. That said, it is possible to earn a wage from a side job while working for someone else. Most people we interviewed averaged just four to five hours per week at their side job, so they didn’t always earn $1,000 per month. However, several people came close to $1,000 and they all earned at least $25 per hour. They also had to report that it seemed likely that they could work more if they needed the money. The $1,000-per-month side gig is likely within your reach, if you’re willing to put in some time and effort on the front end. In general, you’ll have to be willing to promote yourself, pitch prospective clients, and develop valuable skills to get started. However, once you have an established side gig, it becomes easier to keep the revenue coming in without excessive effort (aside from actually doing your job). Side gigs require you to give up your most valuable asset (your time), so it makes sense to try to maximize your earnings from the gig. That said, a lot of people report that their side hustle isn’t just about making extra money. Some people are building skills that are necessary for a promotion in their primary career. Stay-at-home parents report that they love getting out of the house and using a different part of their brain. Others report that they enjoy having a paying artistic outlet, even if they earn more or have a steadier income through their day jobs. Honestly, things like free alcohol, free bagels, and free t-shirts enticed many people to start side hustles. No matter your motivation, starting a side gig is a great way to get ahead financially. Just be smart about starting it, so you don’t waste your time earning less than minimum wage. I have to admit that I was skeptical on selling tradelines as well. I just don’t know if I’d ever want to risk it. However, you made some great points on how trustworthy it could be. Definitely surprised by the ROI on it – and I’ve seen others doing it as well successfully (Wealthy Accountant).